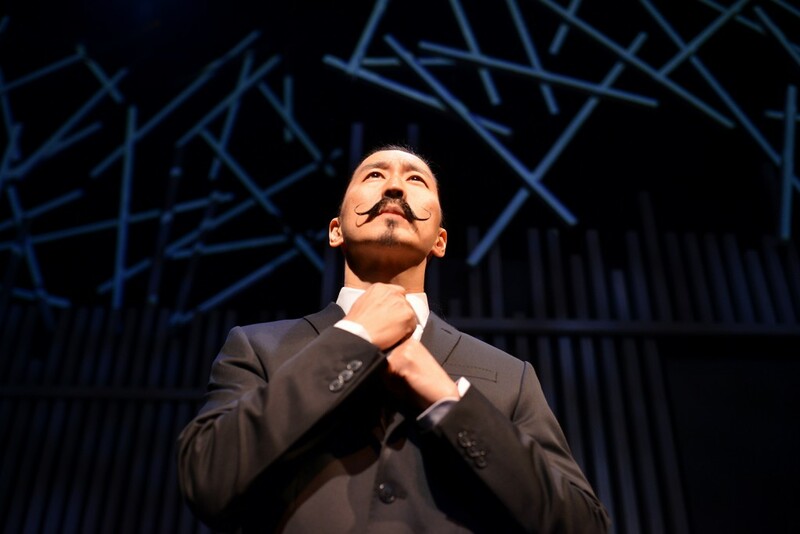 Actor Tetsuro Shigematsu believes in ‘social signaling’ with his poignant presentation Empire of The Son. The 75 minute solo performance—equipped with projection minis—is a cherished reminder than families matter. Saying a final goodbye to a friend never comes without devastating sadness. Doing the same to a parent—even with advance warning—is still filled with deep loss and often with relentless personal regret. Tetsuro Shigematus’ Empire Of The Son is a tender tribute to a Japanese public broadcasting paterfamilias that once shared the same room as The Queen and Marilyn Monroe. His real achievement, however, was his journey in becoming a super dad to four beloved children. ‘My father was a mountain, a force of nature. He was my waterfall,’ he asserts. It doesn’t take much more than those twelve words to get a sense of the heartfelt gratitude from within despite a sometimes rigid relationship from a once young boy finding his way in the world. Hearing the subject matters real voice in varied audio files combined with video clips of the playmaker’s own offspring are creative elements that drive home the importance of the family unit. Richard Wolfe succeeds in directing this often humourous docu-telling with awareness of its true power. A heartfelt walk down memory lane doesn’t come better packaged than this.